← What if the worst drought hit California today? 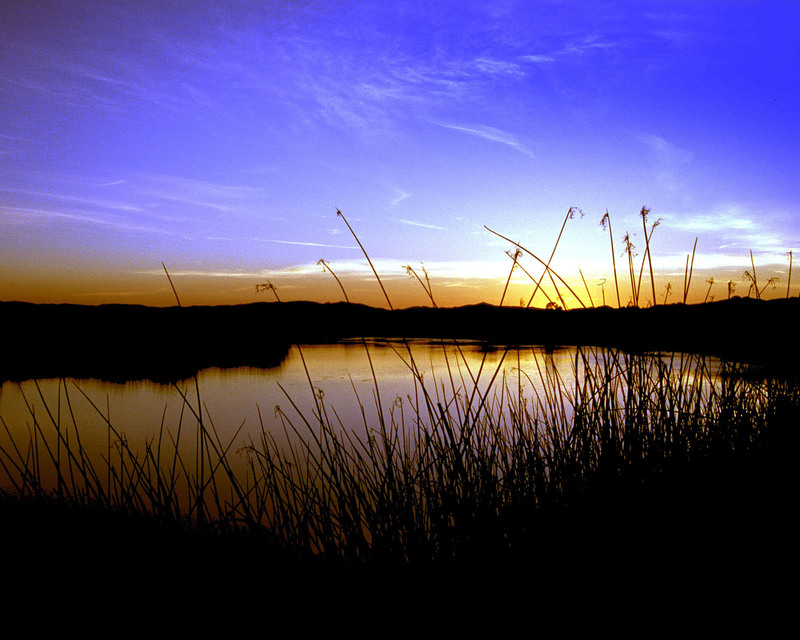 The Delta and Suisun Marsh were once part of a continuous, enormously productive aquatic ecosystem that supported dense populations of fish from Sacramento perch to salmon, huge flocks of wintering waterfowl, and concentrations of mammals from beaver to tule elk. This amazing ecosystem is gone and cannot be brought back. We have a choice. We can let the ecosystem continue to slide towards being a mess of alien species that live in unsavory water flowing through un-natural pathways, OR we can take charge and create a new ecosystem that contains the elements we want. Those elements include native species and clean water that flows in more natural patterns, creating a better environment for fish and people. (1) Internal Delta flows that create a tidally-mixed, upstream-downstream gradient in water quality, with minimal cross-Delta flows. At times much of the water in the present Delta flows towards the big export pumps in the South Delta. Fish trying to migrate upstream or downstream find this very confusing, often lethally so. (2) Slough networks with more natural channel geometry and less diked, rip-rapped channel habitat. (3) More tidal marsh habitat, including shallow (1-2 m) sub-tidal areas, in both fresh and brackish zones of the estuary. (4) Large expanses of low salinity (1-4 ppt) open water habitat in the Delta. (5) A hydrodynamic regime where salinities in the upper estuary range from near-fresh to 8-10 ppt periodically to discourage alien species and favor desirable species. (6) Species-specific actions that reduce abundance of non-native species and increase abundance of desirable species, such as active removal of undesirable clams and vegetation. (7) Abundant annual floodplain habitat, with additional large areas that flood in less frequent wet years. (8) Treating the estuary as one inter-connected ecosystem, recognizing that changes in one part of the system will likely effect the other parts. This entry was posted in Sacramento-San Joaquin Delta and tagged Delta, ecosystem, estuary, export reduction, floodplain, flow restoration, flows, San Francisco Estuary, Suisun Marsh, tidal marsh habitat, variability. Bookmark the permalink.